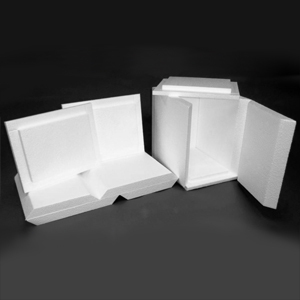 Fast Pack Foam Panel System creates space savings over other pre-assembled insulated containers. Mitered & taped corners make for easy 3-piece assembly compared to loose 6-panel sets, and make for tightly sealed insulated packages. Step-cut, lipped lids/bottoms reduce the air gaps common with standard flat cut panels.